the view of angry commuters – thanks for closing down the street during rush hour for your silly party! 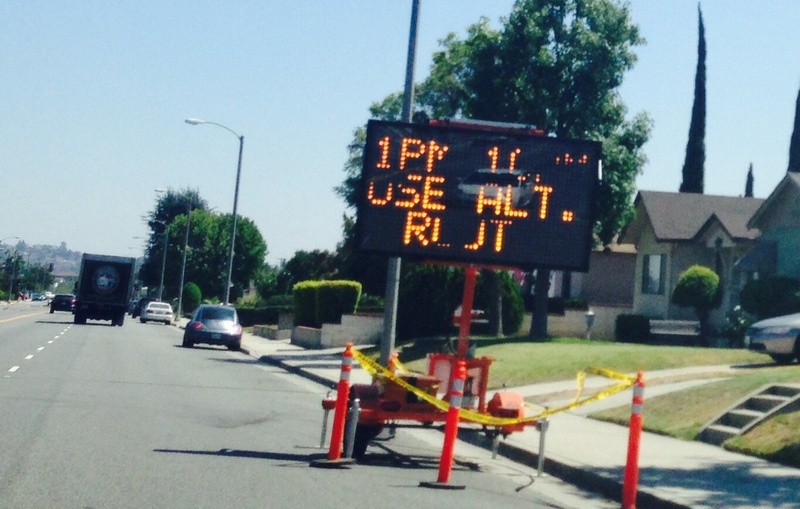 The City of Alhambra closes off the street at Fremont and Valley, telling drivers to ‘find an alternate route’. 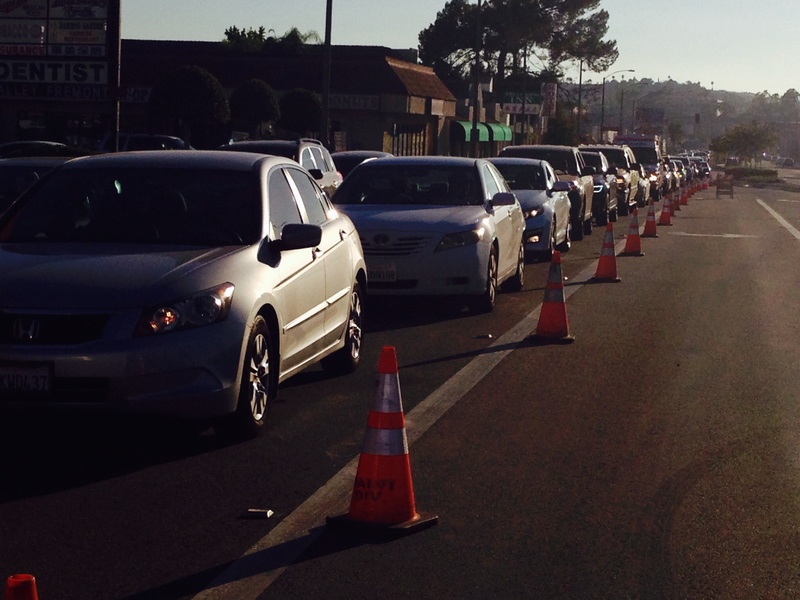 The City claims it wants to build the freeway tunnel to alleviate traffic, but then creates a traffic jam. 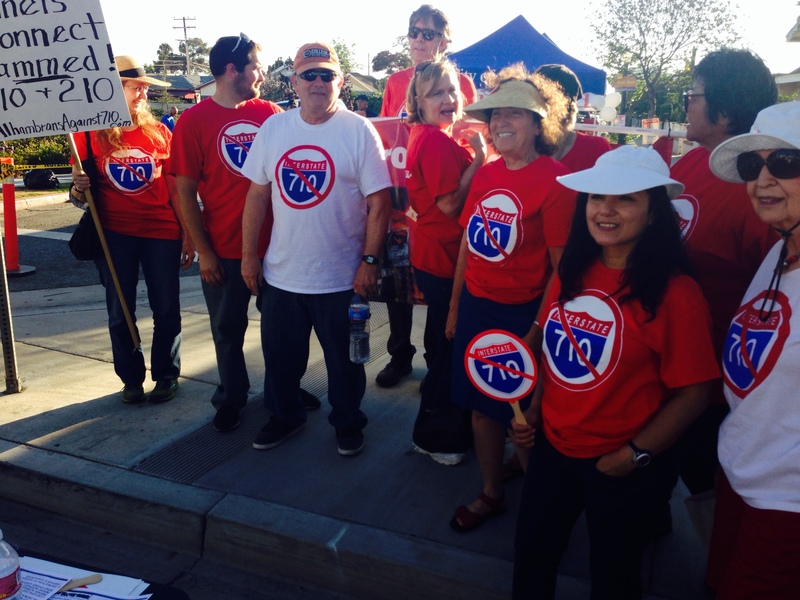 Alhambrans Against 710 were on site to answer questions of many confused neighbors who had no clue about the proposed toll to use the tunnel, or lack of on- and off-ramps, the dangers, or the alternatives. A contributing writer wrote a prologue to Gridlock Day. I’m so glad Alhambra did this! 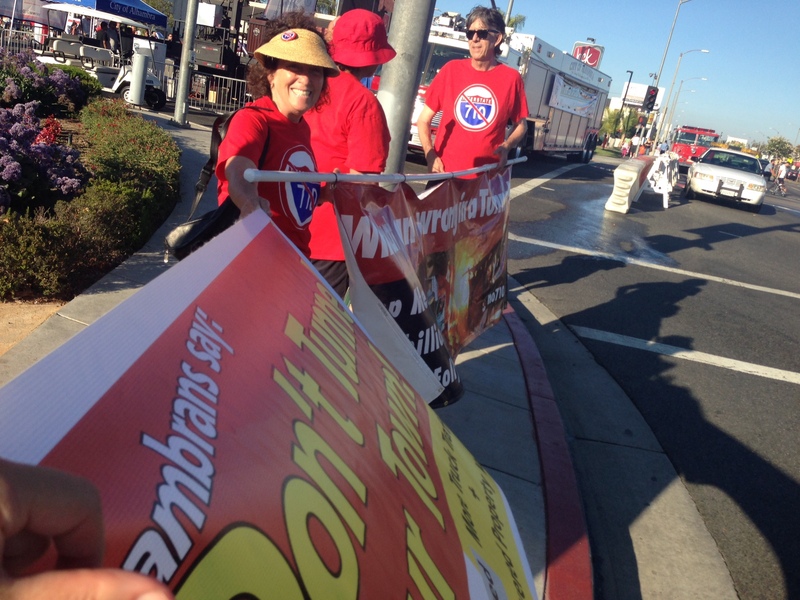 The effort the city is expending is helping Alhambrans Against the 710 recruit new members. Hats off to all this group which showed up and gave me the facts that the City Council of Alhambra is trying to obscure from it’s residents. Thanks also for adding me to your sign up list. I’m looking forward to your updates. Please let me know if there are anti-710 candidates I can vote for. Hope one is in my District. Time to through the current council out! I agree with Russ here! They are not listening to us. Why should they be representing themselves and their trucking-industry friends, hide the facts from us at their stupid street closure yesterday to celebrate something that either a) no one wants or b) no one TRULY knows about. When I asked the people in blue shirts that were working there, no one knew. They were just there for the free cupcakes. Thanks to this group for volunteering your time. I will check out your “getting active” page to see what else I can do. THANKS!